You're Invited: Join Guest Of A Guest At The Gold Cup This Saturday! 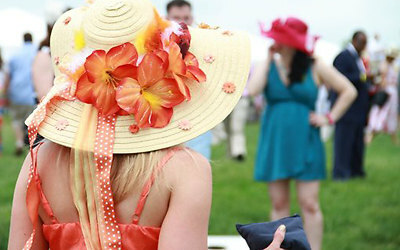 Join us this Saturday at the 89th Virginia Gold Cup where we will be donning out most extravagant hats and preppiest frocks with Becky's Fund and The Huxley! This is your last chance to purchase tickets to party with us at Becky's Fund and The Huxley's 8th Annual "Investing In Hope" Gold Cup party! Don't miss out on one of the top social events of the spring season. We'll be there snapping pics and scouting for Best Dressed Guests so get your tickets here now!